No matter the size this furniture will make the cloakroom you have look great. 1x Wall Hung Toilet for easy clean and slim line soft close lid and seat – designed to create a sense of detail. 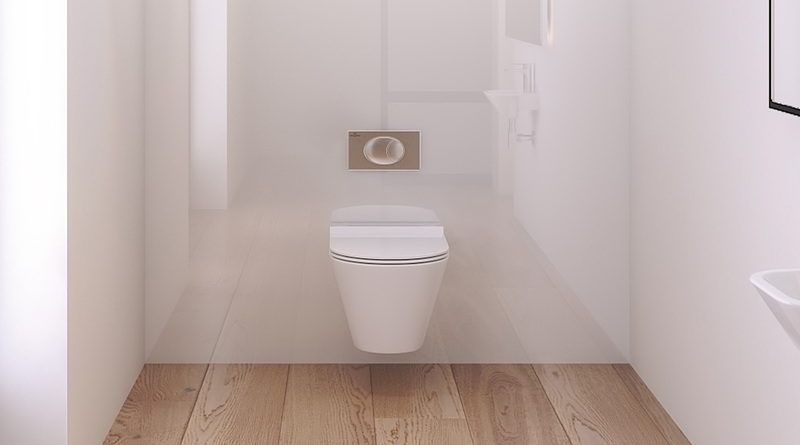 The off-floor toilet creates a sense of space whilst making it easy to clean floors underneath. It comes complete with wall frame, dual flush cistern and flush plate for a clean look that our engineers tested to ensure the best fit and style with the room look. 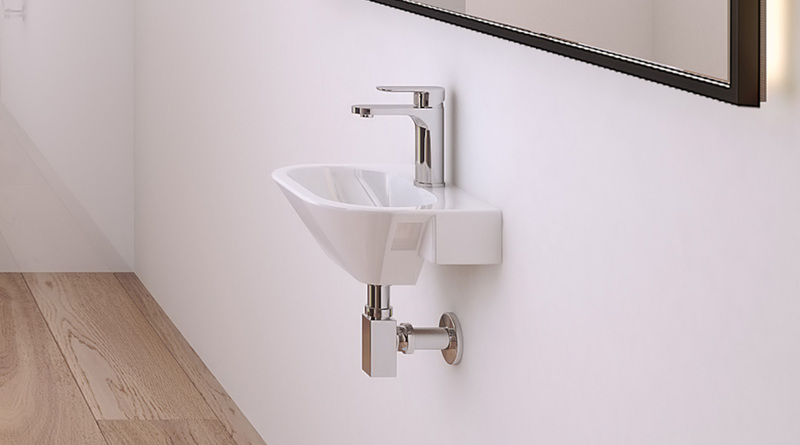 1x Minimalist Basin – narrow design with exposed chrome fittings – mono mixer tap with chrome bottle trap waste system. This is the favourite furniture of our lead designer! Cloakroom wall hung basin, mono basin mixer with click clack waste and chrome bottle trap. 1.18m concealed cistern wall frame including flush plate, wall hung pan and soft close seat. Towel rail 500 x 720mm - An elegant flat panel chrome towel warmer, complete with angled valves.